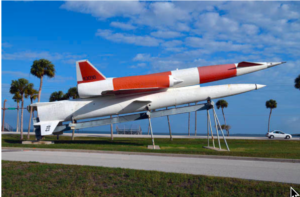 For the rocket and space enthusiast, it doesn’t get any better than Florida’s Space Coast. Here is just a sample of places to visit while at NARCON. At the top of the list, plan a trip to Kennedy Space Center Visitor Complex where Space Shuttle Atlantis is on display. The Visitor Complex is host to incredible interactive experiences for all ages, including the Shuttle Launch Simulator, Mars Base 1, Hubble Space Telescope Theater, and Astronaut Training Simulators. Download the Kennedy Space Center Official Guide app. The app includes Launches, Events, Attractions, and a site Map. 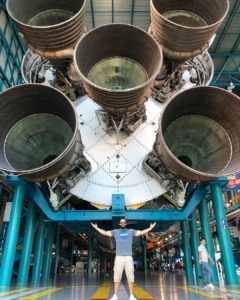 This NARCON-2019 video includes footage of some of the rocketry related hardware you will see while visiting Kennedy Space Center. The Sands Space History Center, located near the entrance to Cape Canaveral AFS, is open to the general public free of charge daily. It is packed with exhibits detailing every Launch Complex on the Cape and has rare examples of early missile and space program artifacts. The American Space Museum is host to items that have been donated by individuals, astronauts, space workers, NASA, and NASA contractor companies. The museum collection includes the actual Space Shuttle Launch Control Center consoles, the Launch Pad 36A consoles, and a Pad 16 Launch Sequencer. 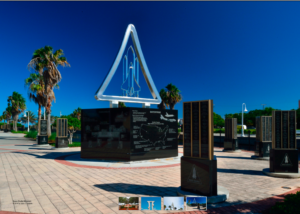 Be sure to visit Space View Park, it features bronze handprints of the Mercury 7 Astronauts and monuments to Gemini, Apollo and Space Shuttle programs. 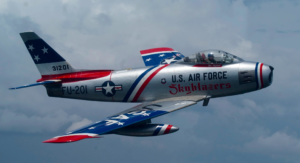 The Valiant Air Command Warbird Museum has a growing collection of over 45 warbirds from the beginnings of aviation to the present day. Everything from a Sopwith (F1) Camel to an F14A Tomcat are on display. This year’s theme: Light the Fire. Note: Due to the government shutdown, this event has been postponed until June.